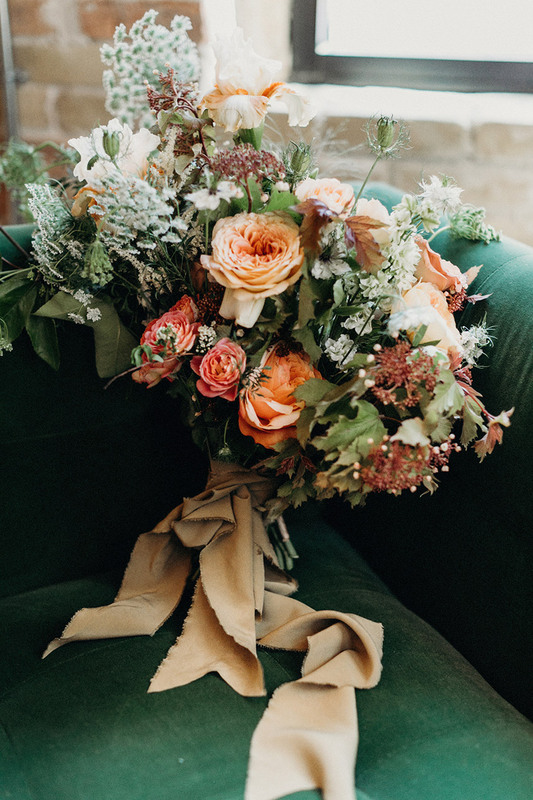 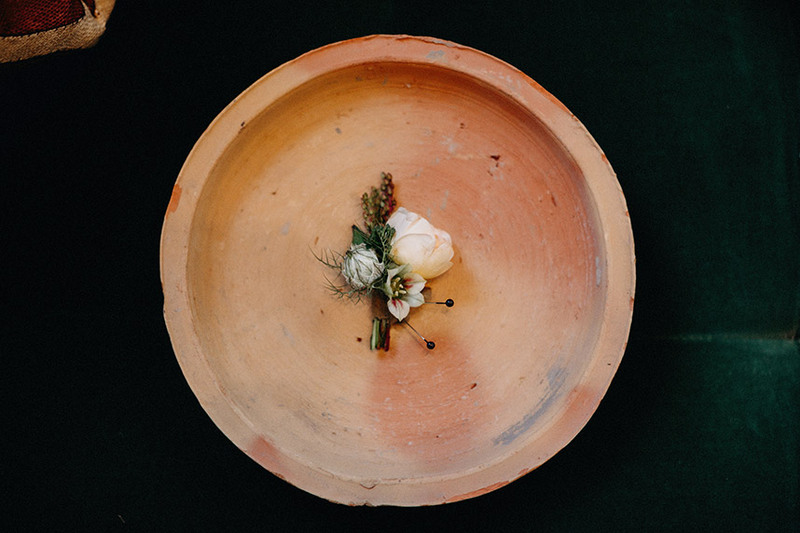 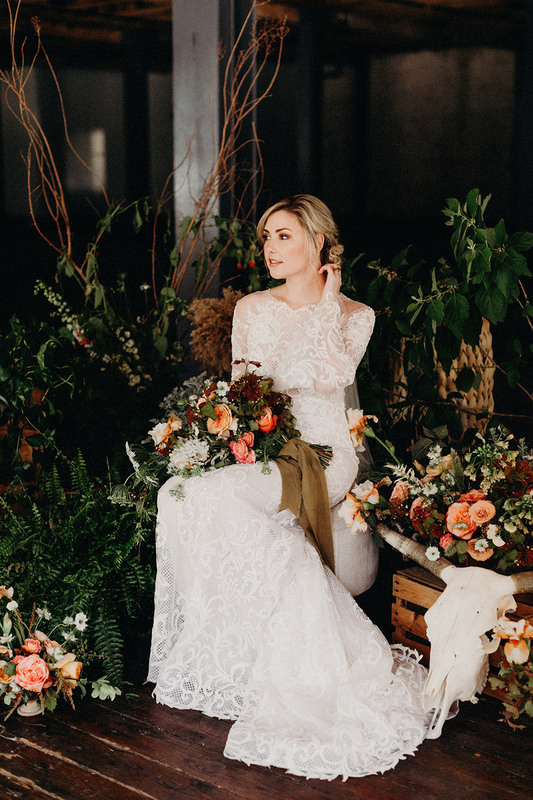 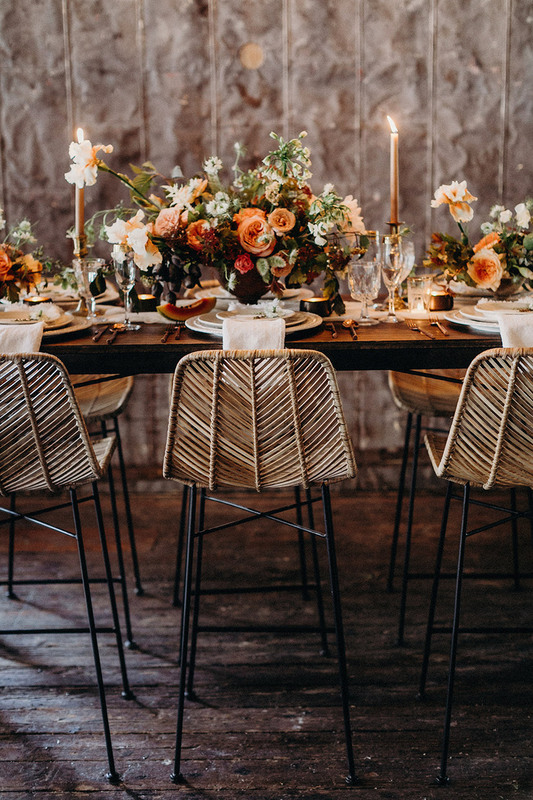 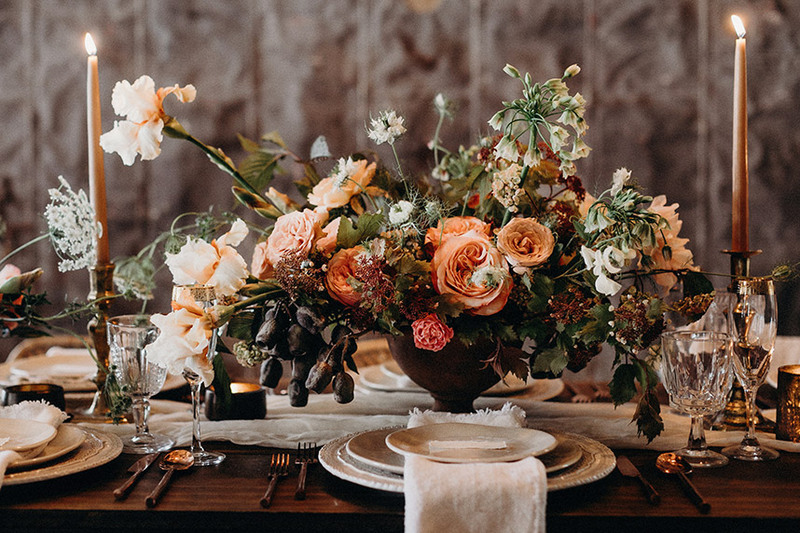 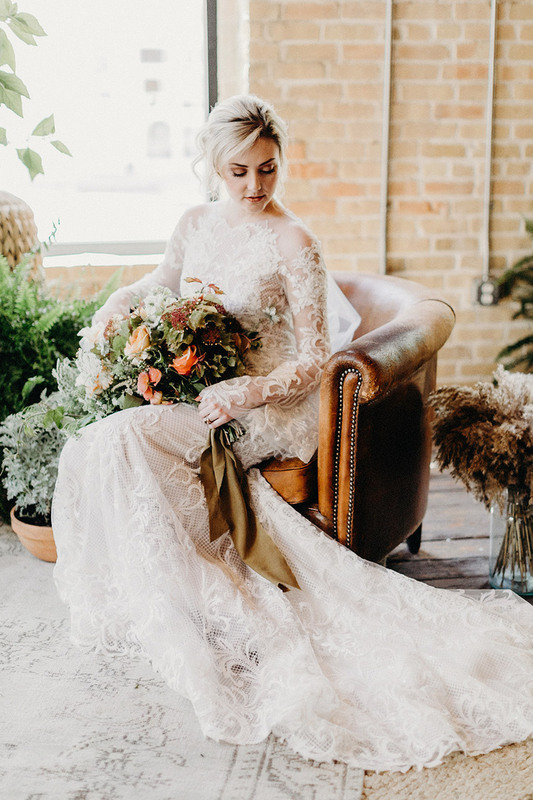 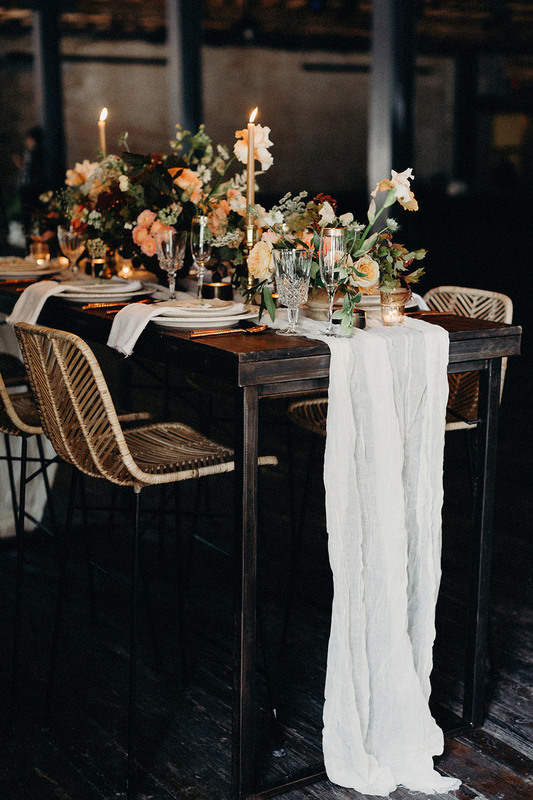 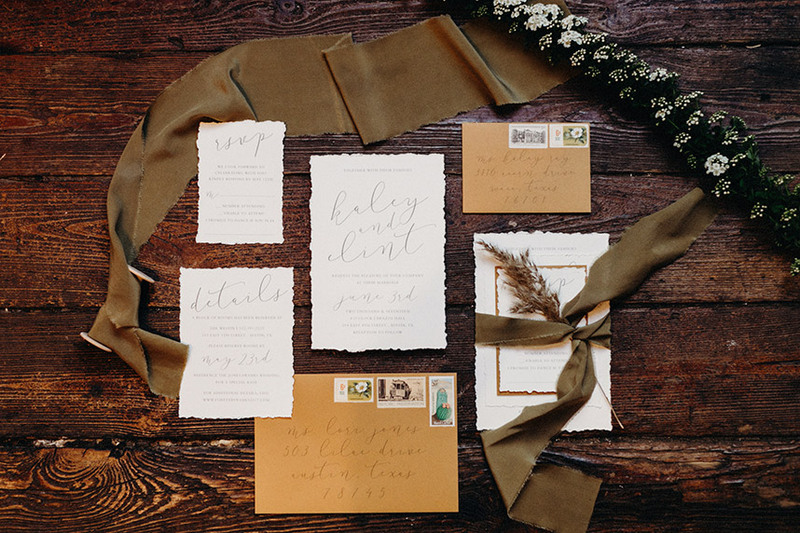 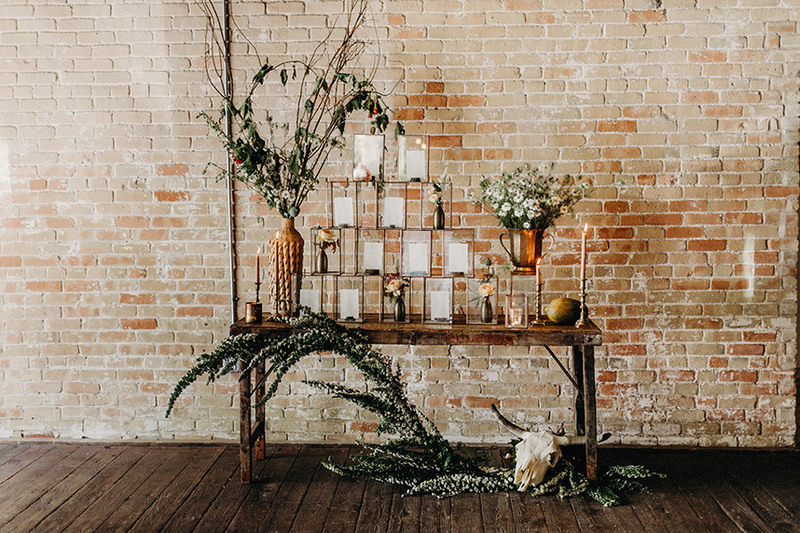 With the arrival of fall, we couldn’t help but share this organic and natural wedding inspiration designed and styled by Emily Ried of Gypsy Floral and Events! 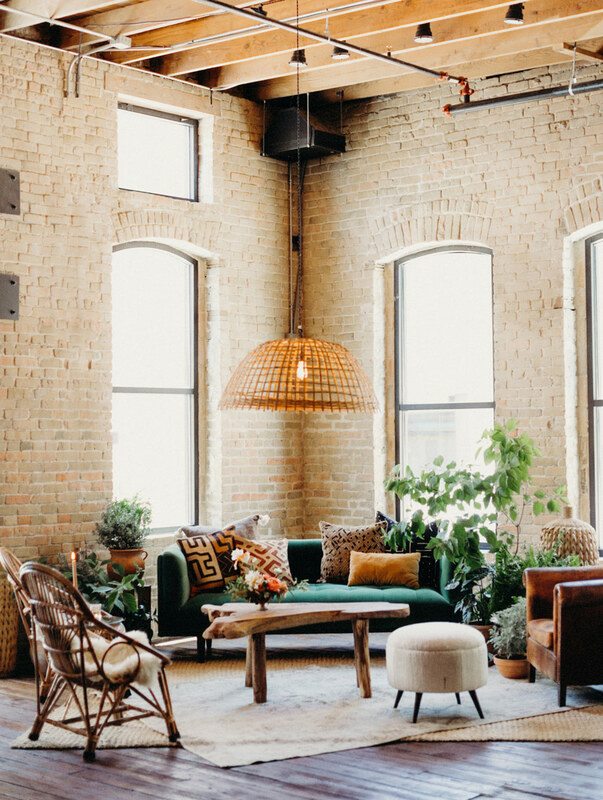 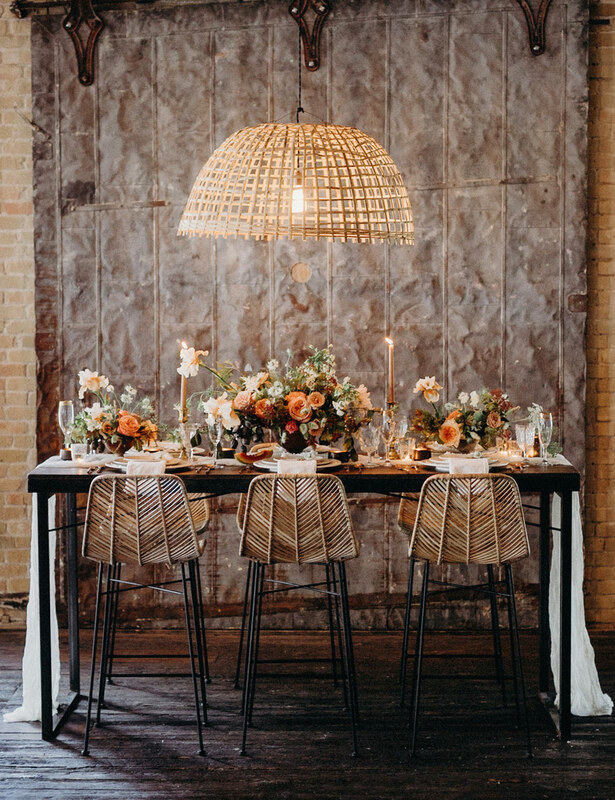 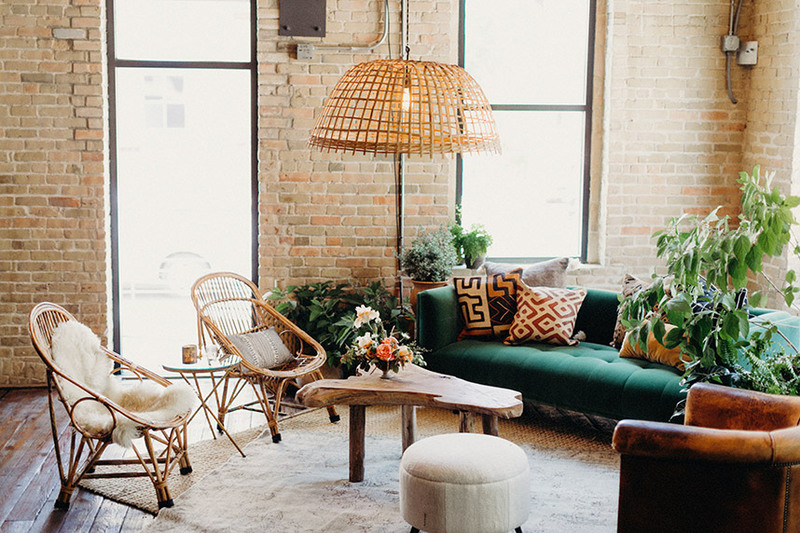 Her team gave the industrial setting at Brazos Hall a natural and ethereal glow with textural elements and warm hues. 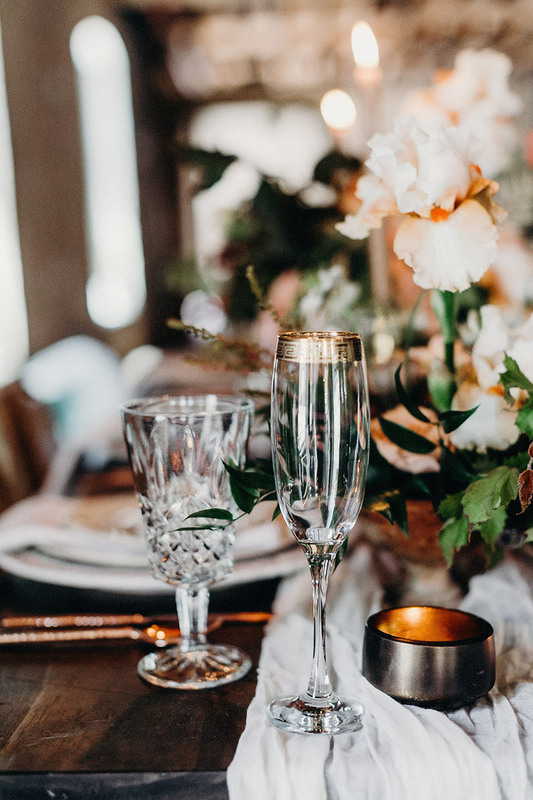 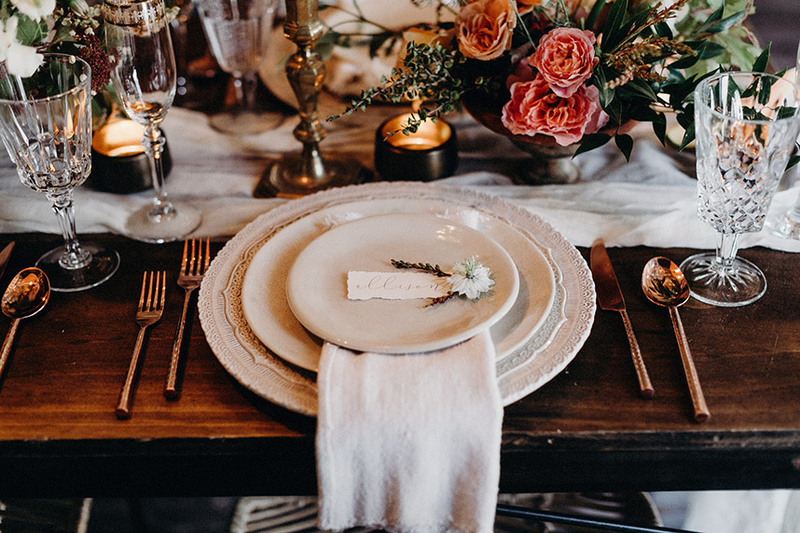 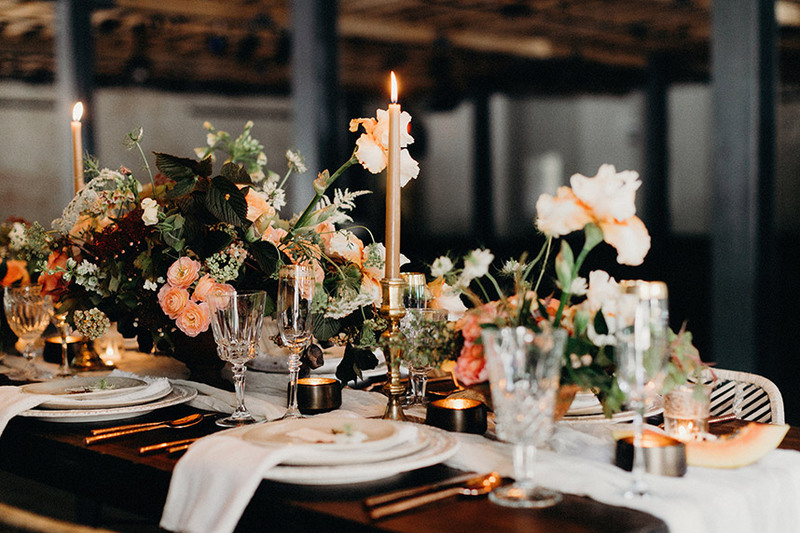 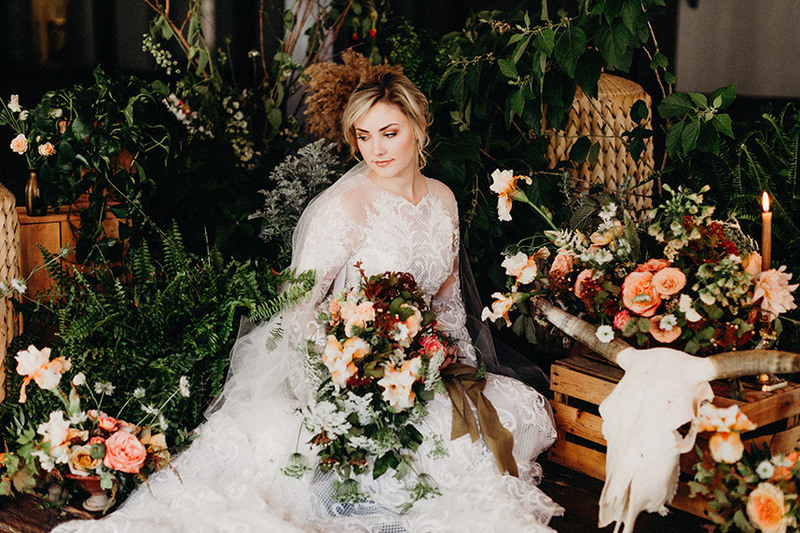 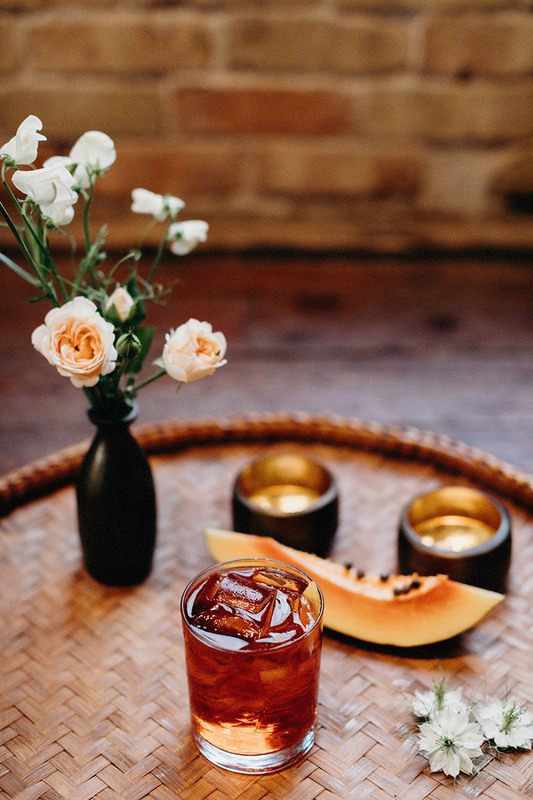 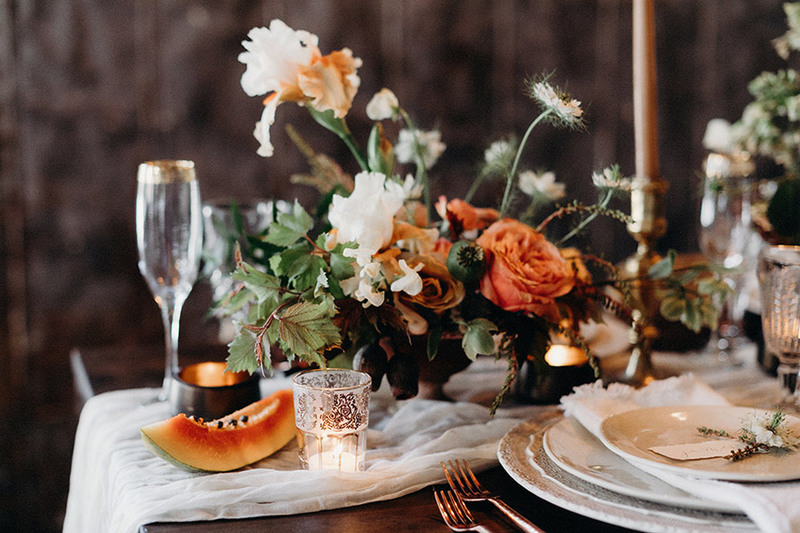 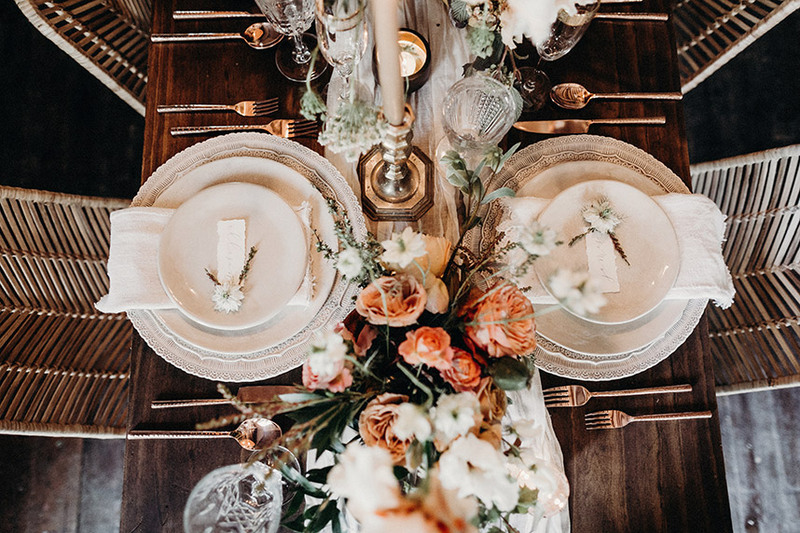 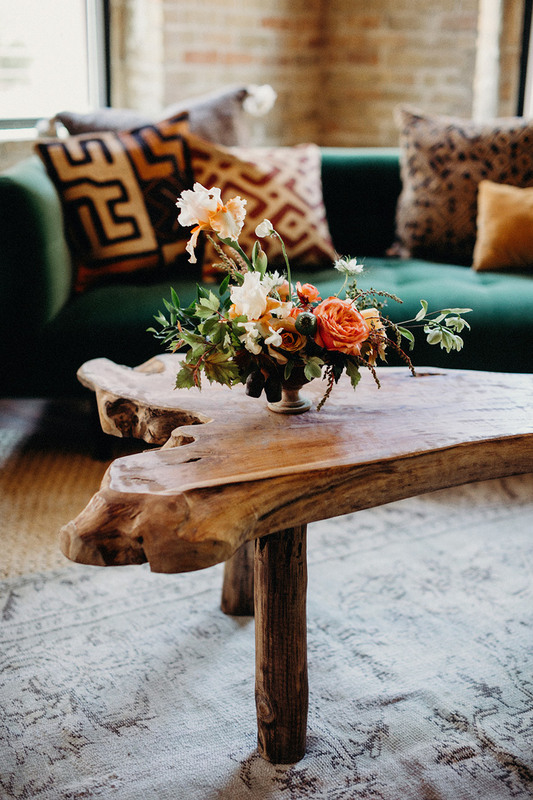 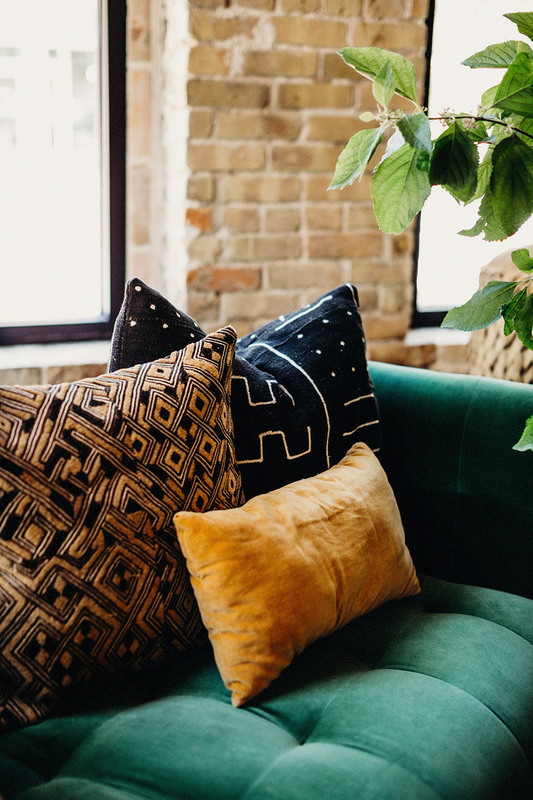 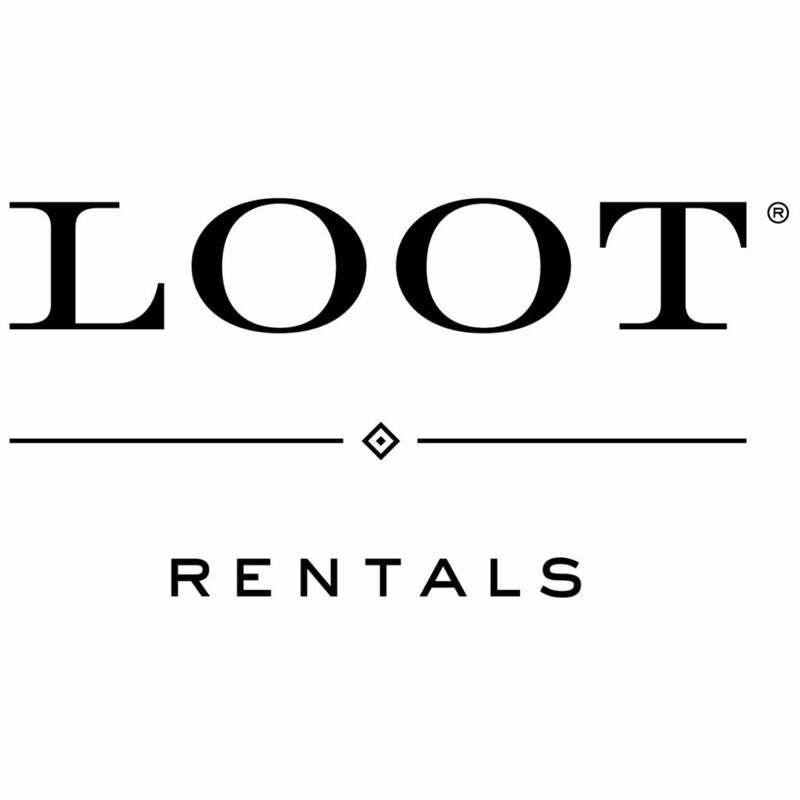 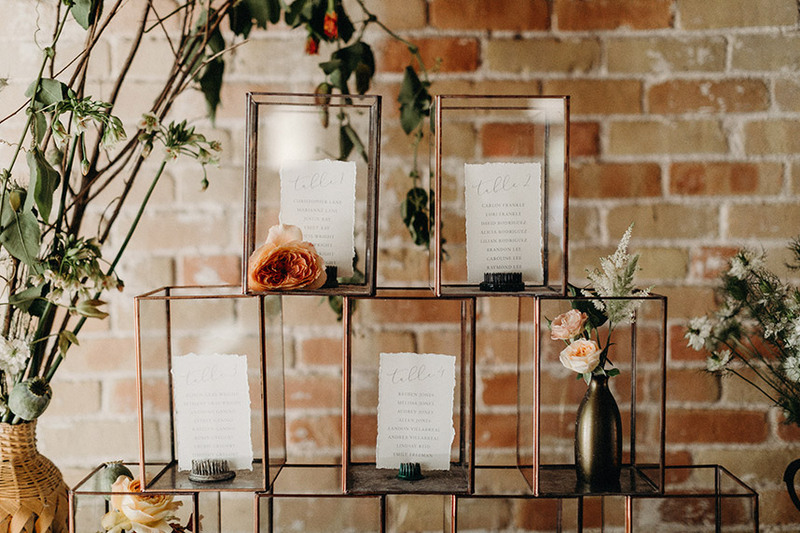 We loved seeing the creativity behind each scene, from fresh flowers designed by Gypsy Floral and Events to calligraphy accents and stationery from Peach Paper and Design to bohemian-style furniture rentals from Loot Rentals. 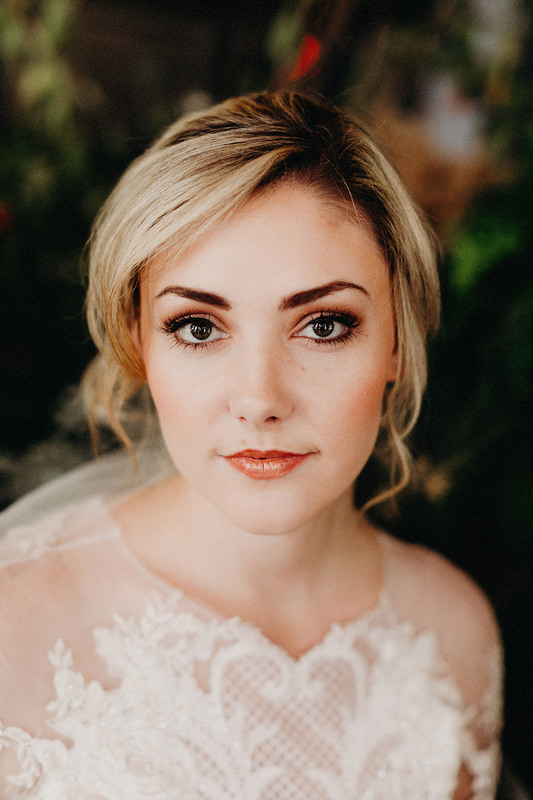 The model bride’s unique, bell-sleeve lace gown from Julian Gold matched perfectly with her golden makeup and soft hair by Lavish Beauty. 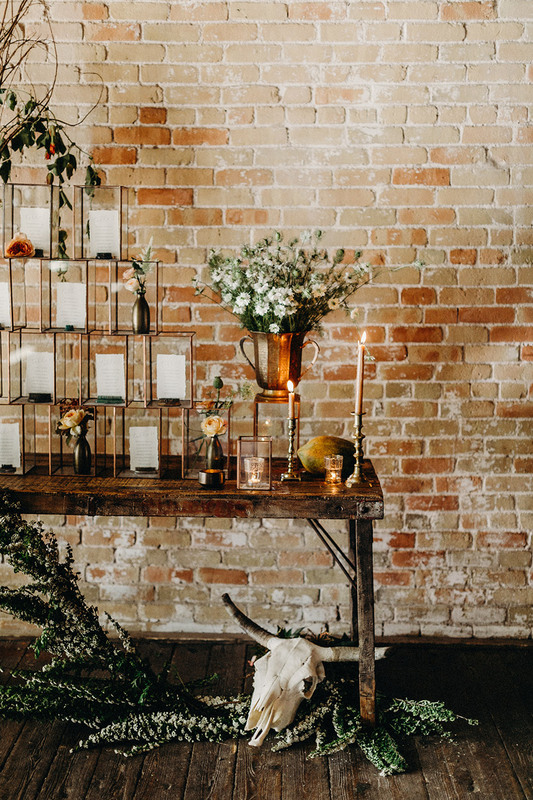 Thanks to this talented team who truly gave so much attention to every detail captured by Gloria Goode Photography! 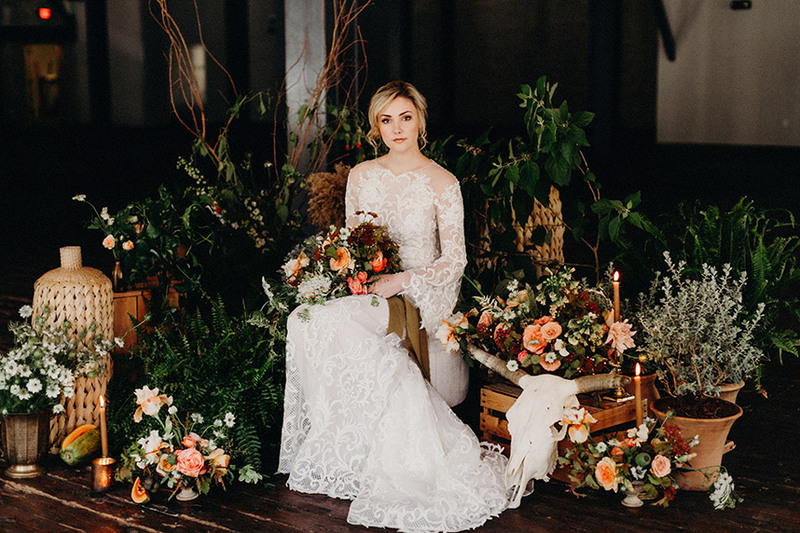 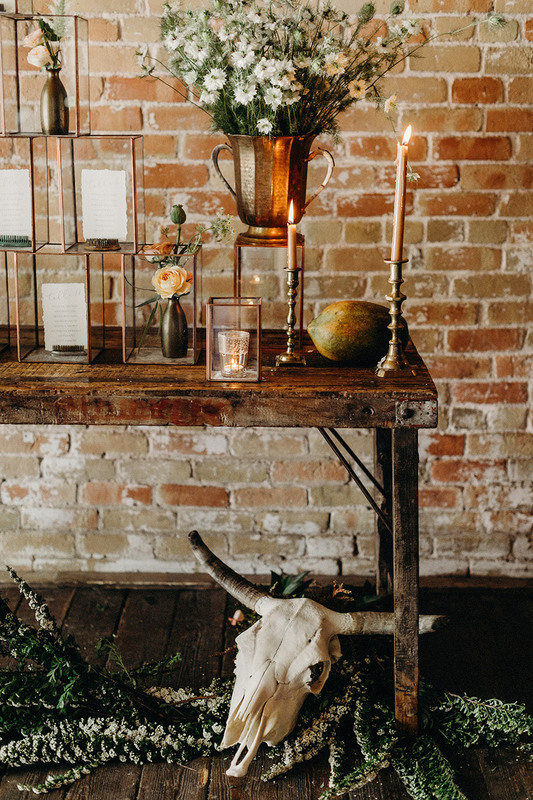 Enjoy perusing this industrial yet ethereal affair in the new issue of Brides of Austin. 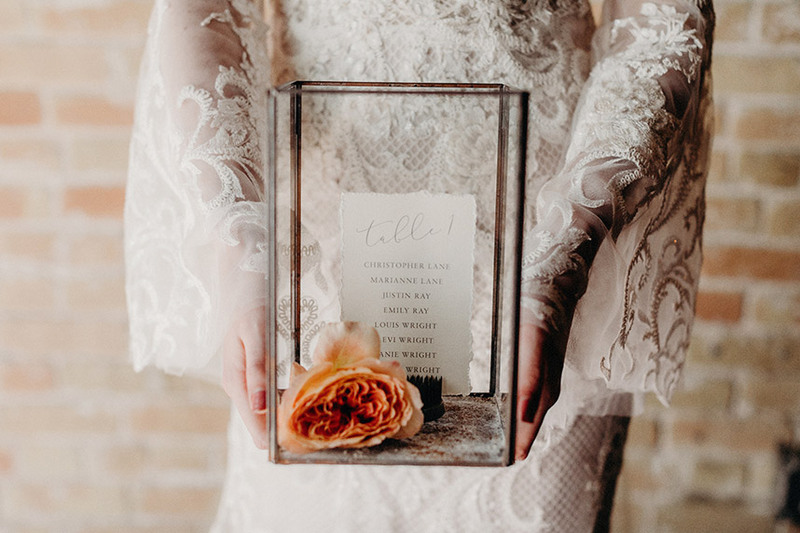 « Previous Post: Apply to be a Brides of Austin Campus Rep!